Sensitivity and specificity of mammography and adjunctive ultrasonography to screen for breast cancer in the Japan Strategic Anti-cancer Randomized Trial (J-START): a randomised controlled trial. Ohuchi N, Suzuki A, Sobue T, Kawai M, Yamamoto S, Zheng YF, Shiono YN, Saito H, Kuriyama S, Tohno E, Endo T, Fukao A, Tsuji I, Yamaguchi T, Ohashi Y, Fukuda M, Ishida T; J-START investigator groups. 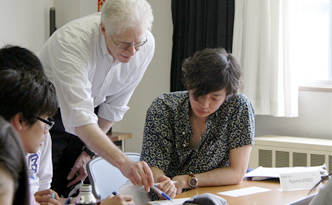 An Interview with Professor Sadayoshi Itoh on the Reception of the American Heart Association Arthur C. Corcoran Memorial Lecturer Award "Measuring the Health of the Brain Based On the Functioning of the Kidney"
Welcome Party for the newly enrolled international students. The research forum for 10th Anniversary of RITM-Tohoku Collaborating Research Center in the Philippines. Neuro Global Program Website has been renewed. A visit from TEDA International Cardiovascular Hospital and Tianjin Medical University on September 12th, 2016. Vice-president of International Relations, Bordeaux University visited the Graduate School of Medicine on September 12th, 2016. 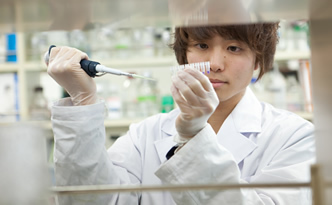 Japan Science and Technology Agency (JST) made the final selections from the first call for proposals for FY2016 SAKURA Exchange Program in Science. The article on the Frontiers of Brain Science, hosted by the Tohoku Forum for Creativity, has been published on the Tohoku University website. Development of a method to automatically classify optic disc structure in glaucoma patients, via OCT-based quantification. The road to personalized medicine in patients with a variety of glaucoma types. Identification of the common pathogenic mechanism of neurodegenerative diseases: Dysfunction of ESCRT, a master regulator of vesicle transport, causes a neuronal cell death. Ms. Amanda Lo Van, an alumnus of our graduate school, was awarded a poster prize at International Conference on the Bioscience of Lipids. Assistant Professor Kazama was selected as a recipient of Promotion Award of the Physiological Society of Japan for Young Scientists. An interview with Assistant Professor Itsuro Kazama of Department of Physiology appears on Global Medical Discovery website as one of "Leaders in Medicine." Dr. MATA MBEMBA DADDY (Diagnostic Radiology) has been awarded 2012 RSNA Trainee Research Prizes in Chicago/USA.